My post have been far and few between in these early months of 2016. There have been few fishing forays as the weather and state of the rivers have dictated the opportunities to fish. Rivers running the colour of builders tea and water levels up to your nick-nacky – noos have meant the rods linger in there rests and the ratchets of reels don’t click. With now only a couple of days away until the close season there will be no ‘classic coarse’ fishing until late June. For us we herald in the season for Trout, Sea-Trout and Salmon fishing and when time and weather permits lure fishing for Bass. 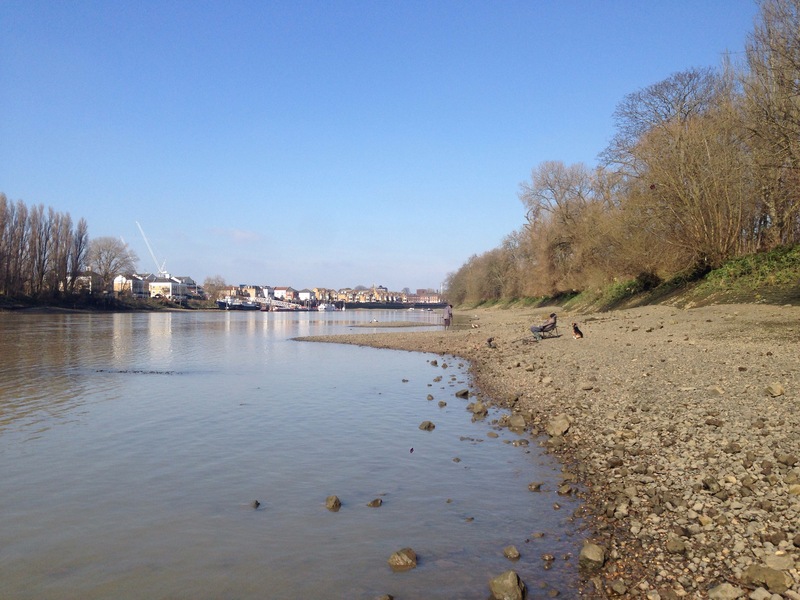 Having been feeling under the weather over the last couple of days I took to the river today under a clear blue sky and walked along the shoreline to see what the recent high Spring tides had scoured away and what it may reveal. In the distance I saw two camouflaged clad figures, for a moment I thought Members of TAC but soon it became apparent that they were ‘mudlarks’, Detectorists of the metal kind. Having struck up a conversation with these enthusiastic gentlemen they were open to sharing their knowledge of the river, their methods and finds. Whilst in mid-conversation one of them bent down, turning over the surface pea shingle and then between thumb and forefinger rubbing a small thin circular object, he stopped his patter and observed his find. ‘Can you see what it says’ as he passed the 20mm disc to me. I rubbed it in much the same way however I could feel the relief of the hammered token. 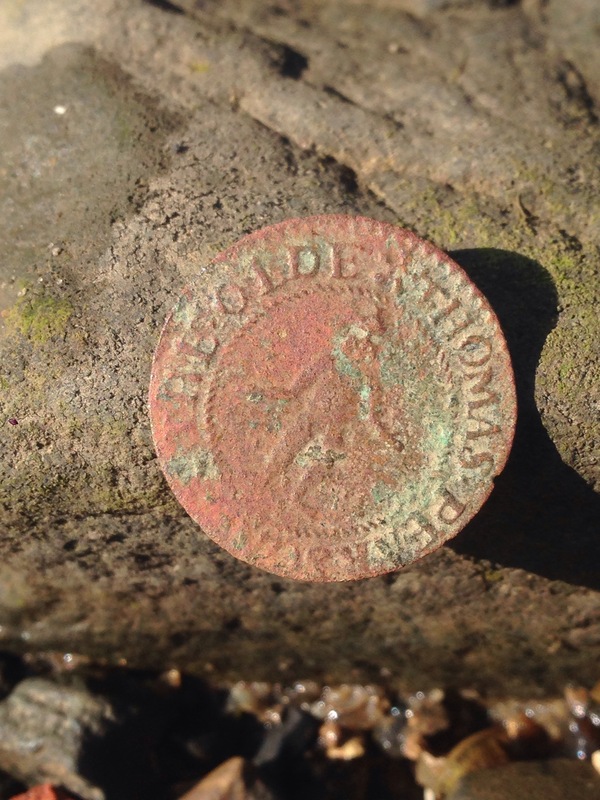 With the warm air on this bright sunny March afternoon drying the token it revealed the wording The Olde Thomas Pearson on one side and In Westminster Pallace Yard on the reverse with His Half Penny in the centre. 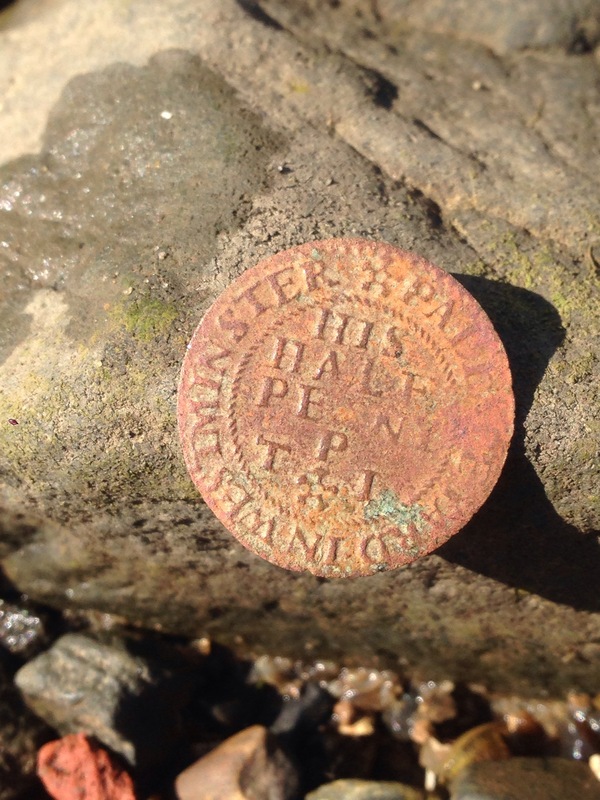 The condition of the token was simply breathtaking seeing that it was struck between 1648-1673 and had been covered by the river silt as its only protection. 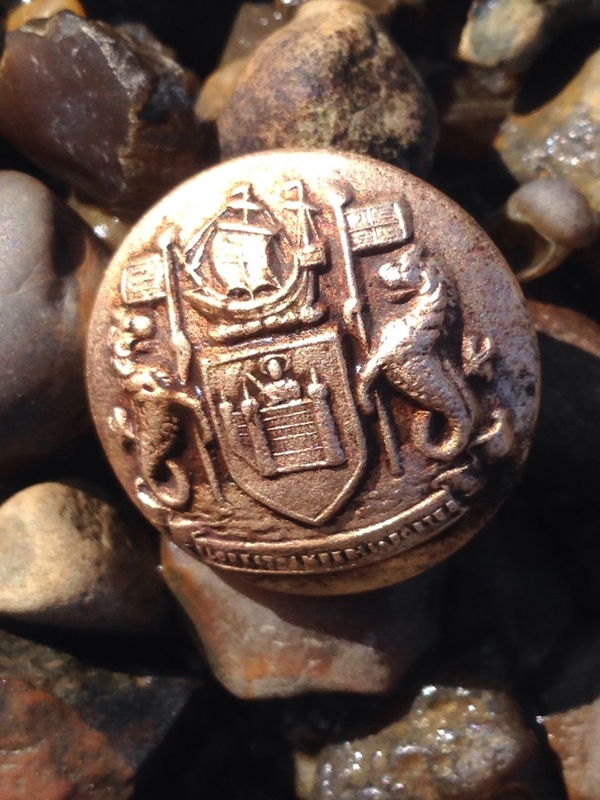 Within a few feet another gleaming item appeared, this being a metal button made by Webb & Co London, again I was astonished as to its condition after the surface grime was rinsed off with water from the river. I’m still amazed at what this river gives up or rather the things that have found their way into it. Each and every time I walk the shores of the River Thames history unfolds beneath my feet, so much, so visible to the naked eye, yet thousands pass it by without a second thought. It will be interesting to see what I may find next time out. My thanks to the Detectorists who shared that special moment today.